Employment provides many sustainable, long-term incentives for young people to learn about respect and abide by as pro-social values, which are essential foundations for participating in society. For instance, sensitive communication, compromise, patience and teamwork. Employment is a great arena in which to develop these values. Josh Babarinde, CEO of Cracked It. Cracked It is a social enterprise phone repair service staffed by young offenders and young people at risk of offending. Founded by Josh Babarinde, Cracked It works with people aged 16-24 with the aim of fostering positive attitudes to work and valuable life skills. By focusing on the values of tough love, empathy and empowerment, Cracked It aims to prepare young people for long-term and sustainable employment. 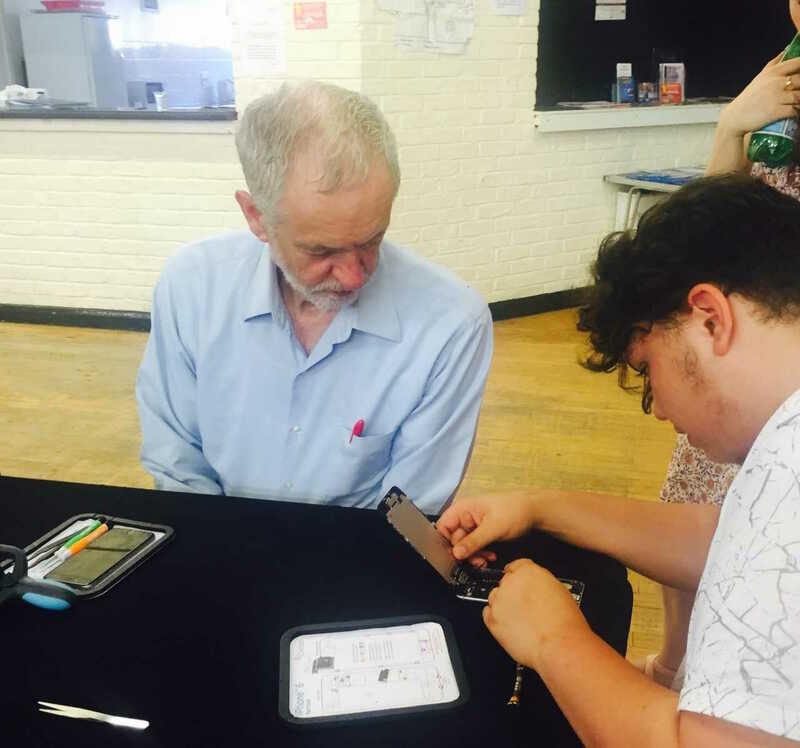 Working with local authorities and housing associations, the team go out into the local housing estates in London to recruit young people for their short 5-day phone repair programme. Through this course, young people learn how to complete a basic screen replacement and are then tasked with running their own public repair surgery on the final day. While the focus is on phone repairs, the young people are responsible for showcasing, marketing and selling their services to the public. This gives them the opportunity to learn a number of transferrable skills that are necessary for employment in all industries. They are taught how to set prices, calculate profit margins, communicate and work as part of a team, all of which help them prepare for future job opportunities. Graduates of the short programme are then able to apply for the longer Cracked It training programme that lasts for nine months. During this time, each young person fulfills a critical role in the organisation. These roles can vary from relatively low responsibility – recruiting other young people to Cracked It programmes – to high responsibility, working as fully fledged phone repair technicians. A credit to the success of the programme is that two thirds of young people Cracked It work with are in education, training or employment 6 months after completing the programmes and 8 out of 10 don't go on to reoffend. I'm now helping to teach other kids when they start the course. Knowing that I can come and make a positive influence on their lives that makes me feel good about myself. Through partnerships with a number of other organisations, Cracked It ensures that the young people they work with are set in good stead to pursue permanent employment after completing the training programmes. Whether they need help creating a CV, preparing for an interview, finding a work placement or re-entering education, Cracked It can signpost them to organisations that can help. Cracked It curates a workplace that serves as a safe space, where they can learn about the norms and customs of employment and develop their employability skills. Josh Babarinde, CEO of Cracked It was keen to facilitate a unique and inclusive working environment and by running pop up phone repair shops in a variety of locations, the young people are able to work face-to-face with customers on a daily basis whilst always ensuring they deliver a top-class repair service. Cracked It is now working with a number of well-known organisations such as Deutsche Bank, Lloyds Banking Group, the Ministry of Justice and Islington Council. We go to the young person. We do a lot of street outreach on council estates, approach groups of young people and speak to them about what we do. The response from this is quite incredible. People are amazed that people are out their searching for their talents, rather than avoiding them. Having recently won Centre for Social Justice's award for Social Enterprise of the Year, the amazing and worthwhile work that Cracked It are doing with young people is being recognised. By helping these young people develop a sense of self-worth, Josh and his team are empowering them to be able to independently support themselves and find their place in law-abiding society. The young people are incredibly receptive to being seen as able and unique individuals and in fostering relationships with like-minded and understanding people, they are able to defy expectations and see a positive future for themselves. Cracked It has helped change my life so much. Thanks to Cracked It and everything they've done for me. I will always appreciate that.